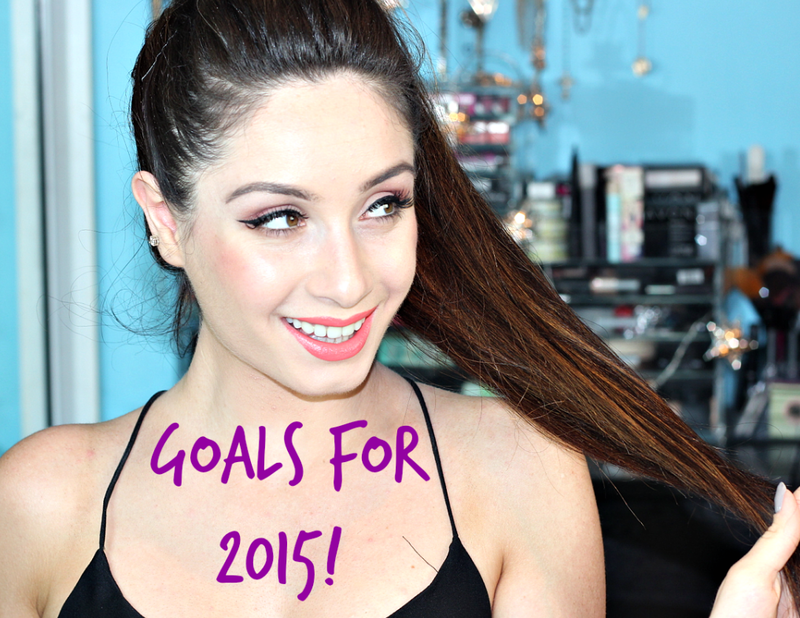 My Goals for 2015 with Makeup & Macaroons! Just like everyone else, I was shocked when I had realized 2014 was actually coming to an end. Each year goes past quicker than the previous and that always leaves me thinking, how quick time is to judge us and and leave us wanting more. However I try to set goals and stay organized at the end of each year, so without further ado, I decided to team up with the lovely and beautiful Lilit (from Makeup & Macaroons) and share with you beauties our goals. When it comes to my career (or such an important aspect of it), YouTube plays a magnificent role within what I do, so I thought I’d start of with this special platform. I’ve always tried my best to become organized and on schedule when it comes to creating, filming and editing my videos. However with the new year, I have new found strength and drive. So I would have to say one of my major or main goals of 2015 would be to become more organized and neat when it comes to my videos. Now I include the word “neat” meaning that I would prefer to be more “neat” and organized with time, on schedule with my deadlines and on -time. I would also love my channel to continue to grow, so I could help and inspire as many individuals worldwide. I have fallen in love with the world of beauty & style. Growing up I always wanted to become just like my Mother, when it came to applying makeup, styling my hair and dressing up. My goal within beauty and style in 2015 would be to have more fun with makeup tutorials and explore out of my comfort zone, to a greater extent. When it comes to fashion and styling myself daily, one of my main goals would be to wear anything that makes me happy and wear it with confidence! I’m one of those individuals that become inspired very quickly and also gives up at times quite instantly too. When it comes to my health, I would love to stay more consistent within the field of what I eat. Now as many of you know, I’ve been doing “Insanity” since July 2012 and let me tell you..the workout literally changed my life. At a young age, I always knew I wanted to entertain individuals, although I never exactly knew how. I’ve been lucky enough to grow up within a society full of social media and platforms that help me grow daily and learn more about myself and others. For 2015, I would love to continue this journey I’m on, called life. I would love to explore my surroundings to a greater extent, achieve any goals or tick of any lists that I create. When it comes to my career, I want others to be able to look at me and say, “If Lilian can do it, so can I”. My dream would be to inspire one person a day, to allow them to realize absolutely ANYTHING is possible and if you put your mind to something, it will happen. 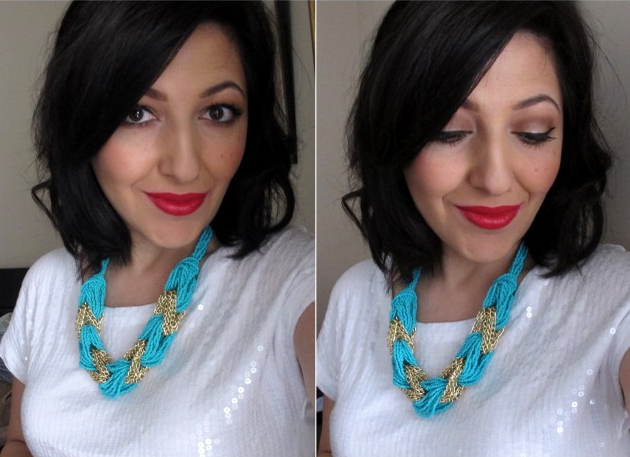 Also, please don’t forget to check out the beautiful Lilit, on Makeup & Macaroons! Next PostNext The Perfect Foundation: Luxe Liquid Foundation Review!